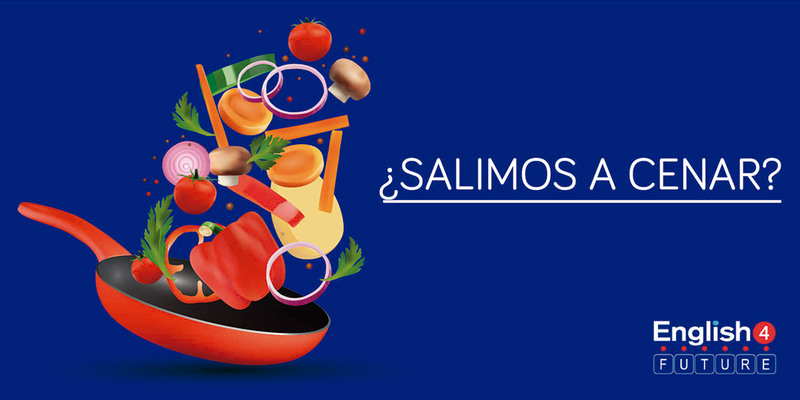 English 4 Future | ¿Salimos a cenar? Esta vez queremos compartir con vosotros frases que os serán de mucha ayuda cuando vayáis a ir a algún restaurante en el extranjero. Customer: Good afternoon, I’d like to book a table for this evening at 8:30 if possible. Waiter: How many of you are there? Customer: Just me, table for one please. Waiter: Under the name of? Waiter: Ok Sir, that’s all booked for you. Good evening, I have a reservation for two under the name of Margaret. Hello, I’ve booked a table for 9:00 p.m under Mr Edwards. Do you have a table for one by any chance? Do you have any tables available for this evening? Could I have a beer please? I think I’ll have the red wine. Could I have some tap water please? To start I’ll have the apple and cheese salad. Could we get some guacamole to share? I think I’ll go for the cod with chips. For me the leek and potato soup. And for the main course cod with tomato sauce and chips. Te suelen preguntar: Can I get you anything else? Te apetece un postre → Could I have a look at the dessert menu please? Si no te hace falta nada más → No, we’re fine thank you. Solo la cuenta → Can I get the bill please? Ha sobrado comida y quieres que te la pongan para llevar → Could you put this in a doggy bag for me please? Practica con estas frases en tu próxima salida al extranjero ¡Seguro que después de esto no saldrás con hambre de ningún restaurante!